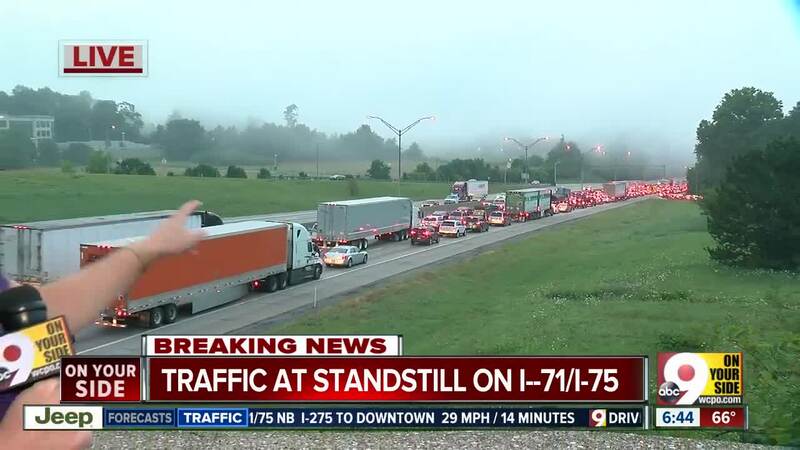 BOONE COUNTY, Ky. -- An overturned semi has northbound Interstate 71/75 down to one lane at the Cut-in-the-Hill Thursday morning. 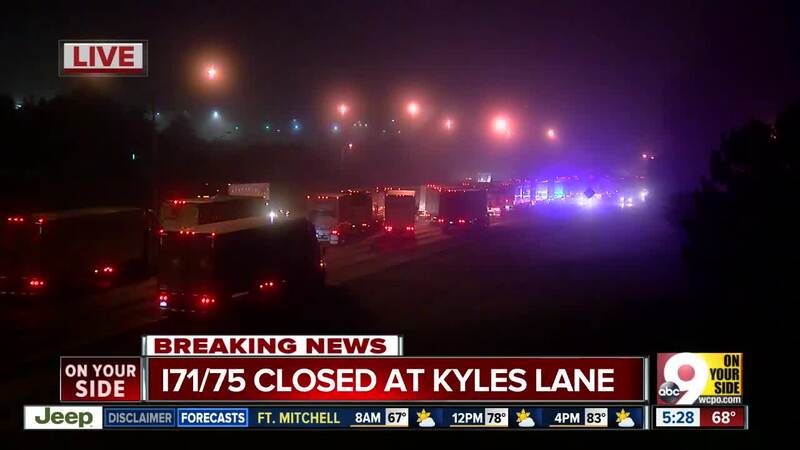 Traffic is backed up past Kyles Lane. The crash previously closed the interstate at Dixie Highway at about 4:30 a.m.
Park Hills police officers were re-routing cars off the interstate via the Kyles Lane entrance ramp at 5:30 a.m. There's no word on whether anyone was injured.